Alan Dershowitz says the US needs to jettison its obsession with identity politics. Alan Dershowitz, a famed defense attorney and professor emeritus at Harvard Law School, says that the United States needs to overcome "identity politics" in order to unite the nation. 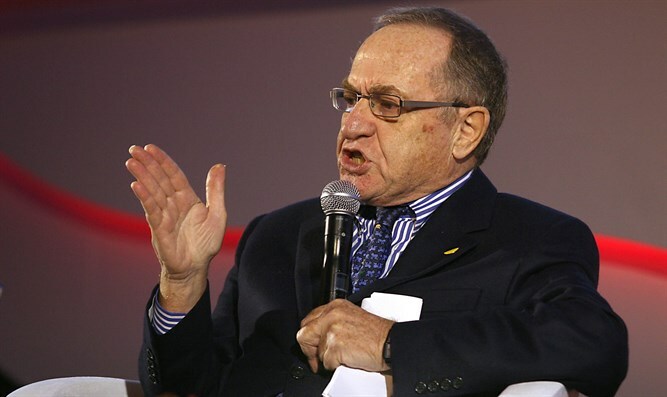 Dershowitz blames both the extreme-left and extreme-right for dividing America through the focus on race. Dershowitz told Fox News that "both the hard right and the hard left engage in identity politics. For the left, they will only listen to you if you're black or transgender. Your identity determines the quality of your ideas. "For the hard-right, they say the same. If you're Jewish, they won't listen to you unless you're white. We have to get away from these racial identity politics. Move us all towards the center," he said. "I'm a centrist liberal, many of you are centrist conservatives, we can talk. We can have a rational argument." Dershowitz congratulated President Donald Trump for working with Democratic Senator Chuck Schumer and Congresswoman Nancy Pelosi to see about putting the Deferred Action for Childhood Arrivals (DACA) program into law, calling it an example of the unity that Americans need. "The president is working with Democrats - that is a very good sign. I want to congratulate Pelosi and Schumer for working together to solve this difficult problem," said Dershowitz. DACA is a program instituted by former president Barack Obama that halted the forced deportations of illegal immigrants that arrived as children. At the meeting, Trump considered making it a law if border security was enhanced significantly, but claims no deal was struck.